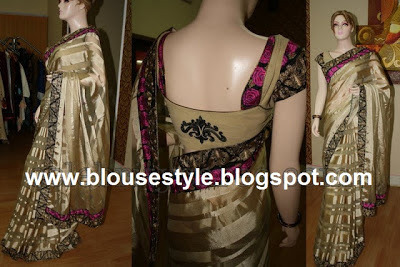 Another one of the latest sari blouse designs is the halter neck,front neck,back neck,sleeve less,embroidery blouses. Halter dresses are in vogue all over the world. 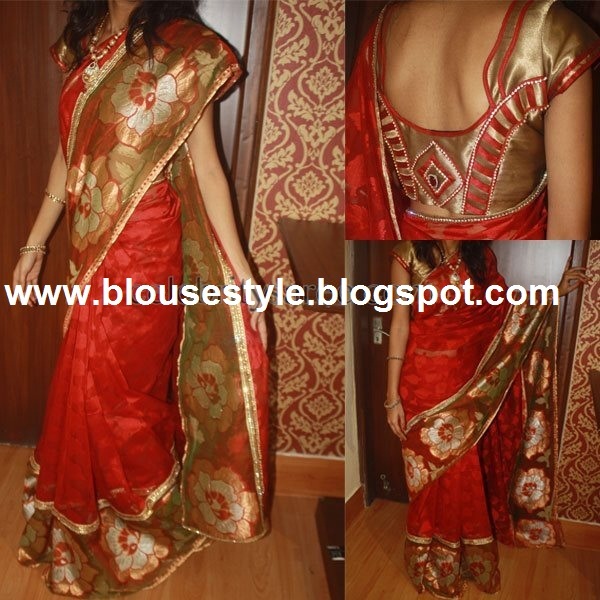 So, how can the blouses of Indian saris remain untouched from their influence? Tie it up or get it stitched- experiment with neck designs to flaunt your neck and back. In fact, a halter neck blouse design has many variations- the classic halter neck that is made popular by the Bollywood actresses, the 'V' halter neck that gives a shape of V to the straps around the neck. 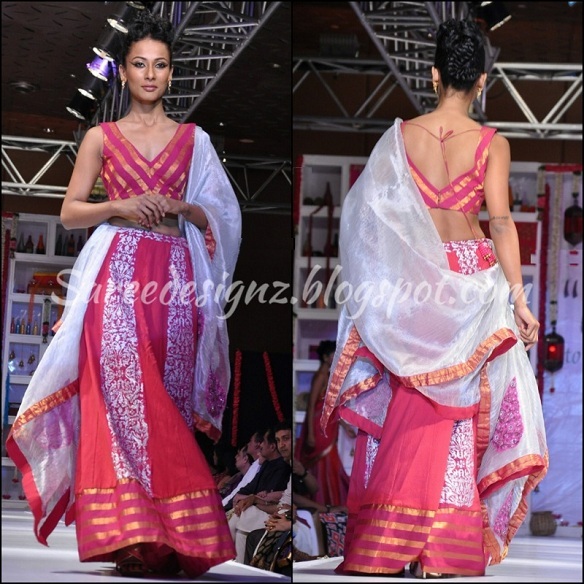 Be innovative and use your saree's border for the 'V' shape or you can even use sequined trims, zari or laces for the purpose. There are still others- the crossed halter neck is also very attractive.